Management of medically diagnosed, benign prostatic hypertrophy (BPH). 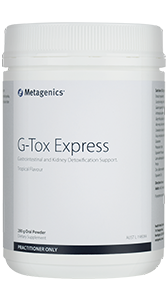 Reduce lower urinary tract symptoms associated with medically diagnosed BPH. Clinically trialled saw palmetto and nettle at a once daily dose. Saw palmetto may assist with the management of medically diagnosed BPH by acting as an inhibitor of 5-alpha-reductase. 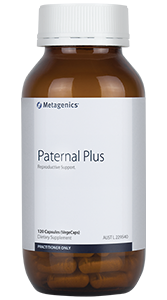 This is the primary mechanism by which saw palmetto relieves the symptoms of medically diagnosed, benign prostatic hypertrophy (BPH). 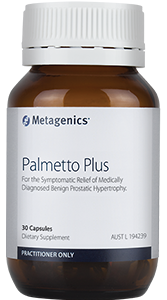 One study, involving 257 elderly men with BPH, found those receiving a combination of saw palmetto and nettle revealed significant reduction in prostate symptom scores after 24 weeks, compared to placebo. Adults: Take 1 capsule with food, once daily. 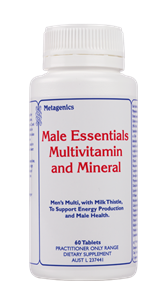 Free from dairy protein, lactose, eggs, gluten, wheat, nuts, yeast and salt. Free from artificial colours and flavours.